This Combination school tray storage unit can be supplied with 24 shallow trays, 12 deep trays or a combination of both (12 shallow and 6 deep trays). 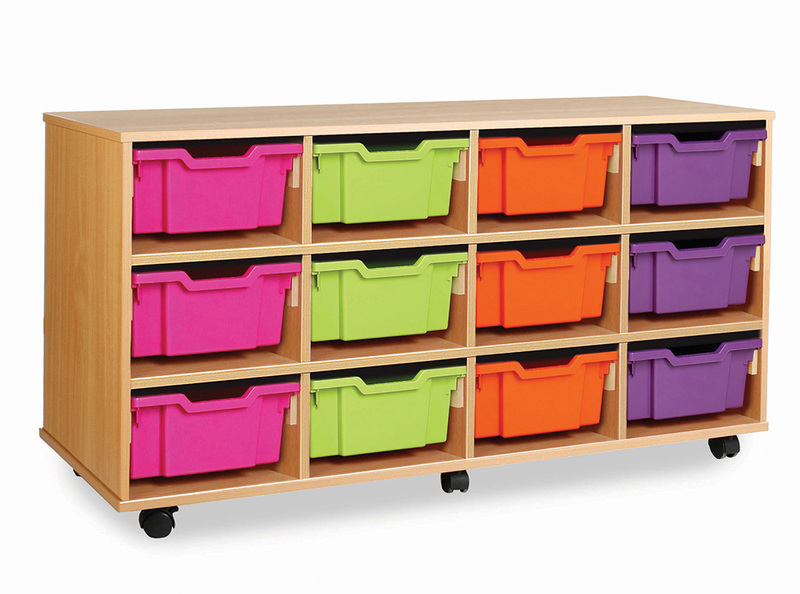 The school tray storage unit is constructed of durable 18mm MFC and has a modern beech finish. Supplied with the trusted Gratnells trays as standard and delivered fully assembled. 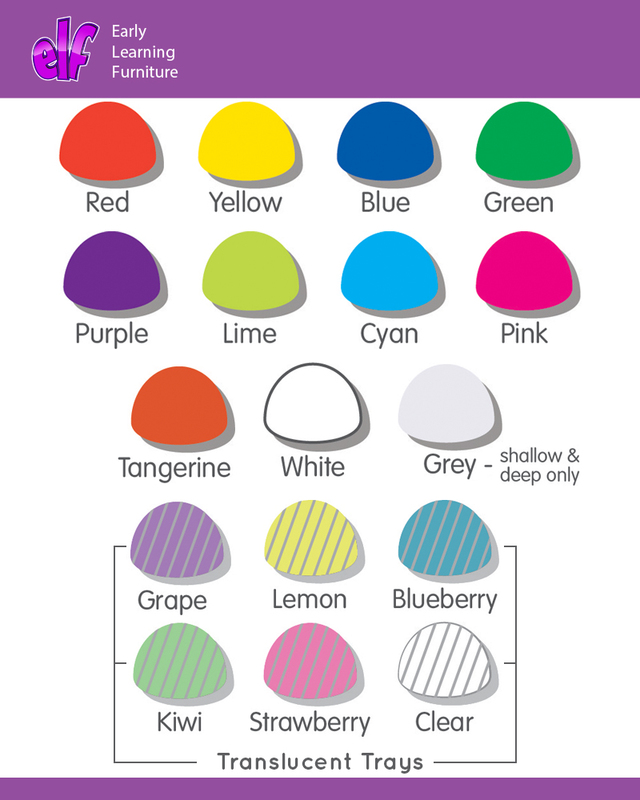 16 tray colours to choose from. Each unit is supplied with castor feet so you can choose to have the unit mobile or static. 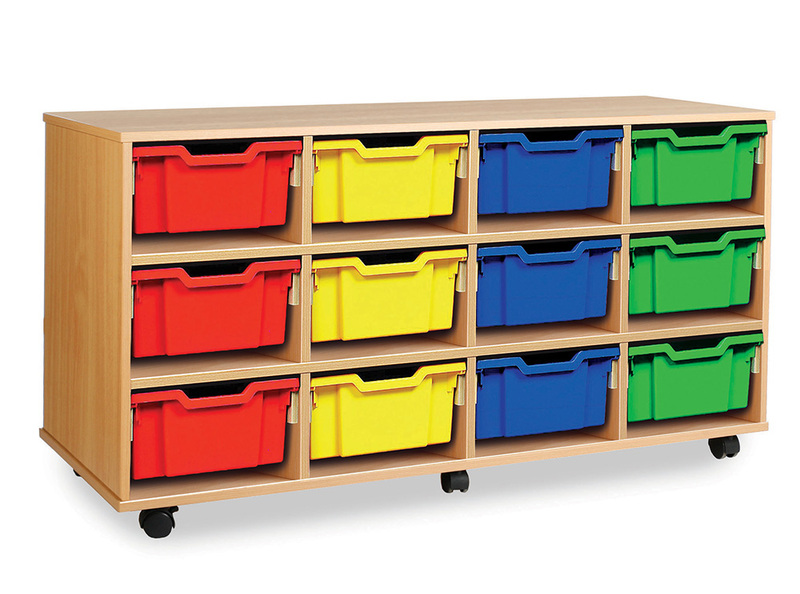 Ideal for storing your everyday classroom materials in schools, pre-schools or nurseries.